Showing someone that you’ve really put some thought into what to get them is simple when you select their present from our personalised gift range. 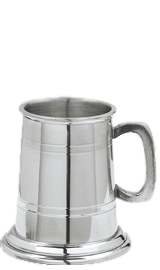 You’ll be able to choose from an array of appealing pieces, including pewter hip flasks, stainless steel tankards, glass drinkware and crystal bowls, and we’ll individualise the item you select by engraving it for a small additional fee. We all adore receiving beautiful gifts, but when the person who bought your present has selected something sensational for you and added a heartfelt message to it, it means even more. Purchase one of our personalised gifts for a colleague, staff member, friend or relation, and you’ll make them feel special whether they’re celebrating a birthday, getting married or marking the end of a long and successful career. You won’t need deep pockets to put a smile on your gift recipient’s face either; our products are as affordable as they are attractive, so you could get an amazing deal. 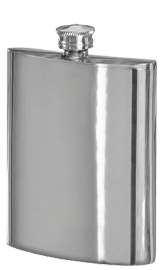 Our gift range includes contemporary tankards, sleek hip flasks, and elegant glass and crystal pieces. You can delight someone with a stunning vase, an engraved tumbler or even a classy drinkware set in a presentation box. We stock many other items too, so whatever your gift recipient’s tastes, you’ll be spoiled for choice. Not only are the high-quality items in our gift range spectacular to look at, they’re also easy to order via our website. You can select the product you want to purchase in the size that you’d like in just a few clicks – and you can also tell us what wording you’d like us to engrave on it when you complete your order form. 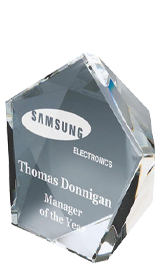 Our in-house team can engrave messages directly onto some items, while other pieces have wooden bases which feature plaques that can be personalised. Whichever product you select, however, we’ll individualise it and deliver it to you promptly. If you need any additional information about our personalised gifts or help to place your order, just email our friendly team on sales@challengetrophies.co.uk or call them on 020 8722 0250.